Select a .saz or .farx file. 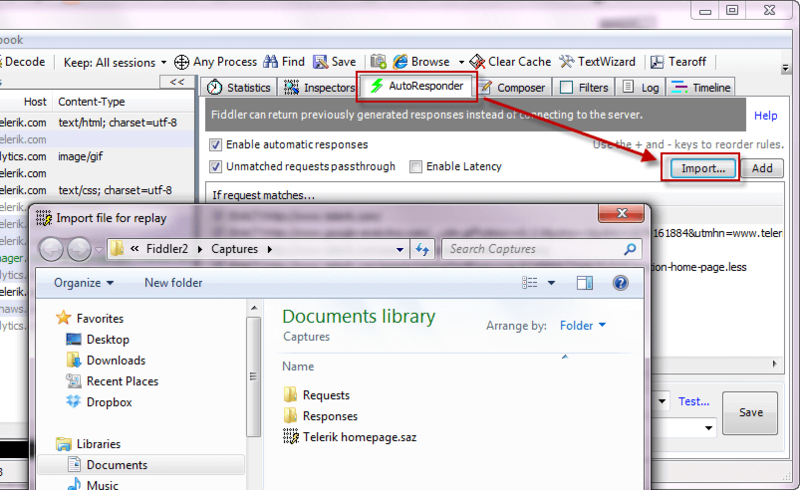 Drag and drop the selected file from Windows Explorer to the Autoresponder tab. The Autoresponder ruleset will now populate with rules that will replay the sessions from the archive. 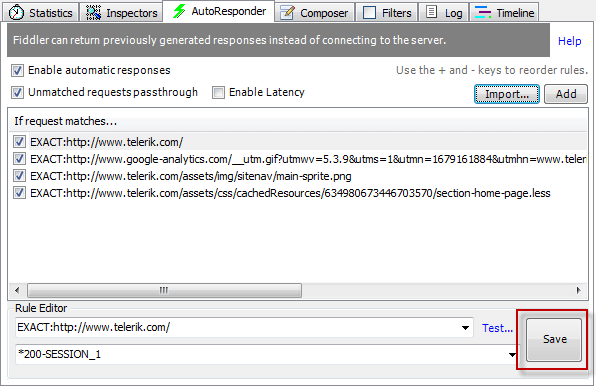 From the Autoresponder tab, click the Save button. Right-click the ruleset and select Export all..